Henning Harte-Bavendamm represents and advises international and domestic clients in the intellectual property sector and related areas, with a special focus on trademarks, copyright, competition, information technology, licensing and distribution. He gives strategic advice, provides legal opinions and is an experienced litigator. Within and beyond the IP/IT sector Henning Harte-Bavendamm is frequently involved in alternative dispute resolution proceedings, whether as a co-arbitrator, president or representative of a party. Since 1979 Henning Harte-Bavendamm has been the chair of the Committee on Trademark Law and Unfair Competition Law of the German IP Association (GRUR). He is the co-editor and co-author of a commentary on the German Act Against Unfair Competition (UWG) and the editor and co-author of a Handbook on Anti-Counterfeiting in Europe. As a co-author he has contributed to a number of other books and he has published various articles in the fields of intellectual property law, the law against unfair competition and on software law. As an honorary professor he teaches copyright law and unfair competition law at the University of Osnabrück. Henning Harte-Bavendamm studied law in Hamburg and was admitted to the bar in 1976. 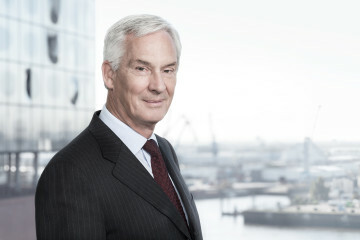 In 1981 he became a partner of one of the leading German IP-firms (Droste) which later merged with other German law firms and finally became part of Lovells. From 2003 to 2007 Henning Harte-Bavendamm was a partner of Allen & Overy LLP, before founding HARTE-BAVENDAMM Rechtsanwälte with two younger partners in 2008. Henning Harte-Bavendamm is a member of GRUR, ECTA and INTA and speaks German and English.